Baby, it’s cold outside! That also means that you need to keep your hotel front desk staff warm. After all, they’re right there by the door—each time the door opens, cold air comes inside. The best way to keep your front desk hotel staff warm is with the gorgeous sweaters here at Sharper Uniforms. We have v-neck sweaters, sweater vests, and everything in between. Your staff will look sharp and feel comfortable for the rest of this chilly winter season. We’ve got the solution for the men and women on your staff. But there are other members of your staff that are even more affected by the cold temperatures: Valets and doormen. These brave souls have to work outside no matter what the weather is like. You don’t want to skimp on hospitality for your customers, but you also don’t want your staff to be uncomfortable. 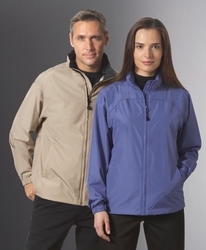 The great hospitality outerwear here at Sharper Uniforms is the ideal solution for you. Check out our selection—you’re sure to find exactly what you need to keep your staff looking and feeling great all winter long. Don’t let your staff suffer this season. With the great hotel sweaters and hospitality outerwear here at Sharper Uniforms everyone will look impressive.